Rihanna “liked” something on social media, y’all. Yes, it was a clip of E!s Morgan Stewart predicting Rihanna’s imminent engagement to billionaire Hassan Jameel. But sometimes a “like” is just a “like,” right? Or… is it more? Let’s backpedal: Recently Stewart went public on E! News’ YouTube Series Necessary Realness — peering into her metaphorical crystal ball, inquiring about the future of Rihanna and Jameel. “Do I think Rihanna is worthy of somebody who has a billion dollars? Yes, I do,” Stewart said. “I think, ‘Is he worthy of her?’ is the question. It’s what’s on everyone’s mind.” Well, it is now. Stewart did not stop there. Girlfriend has opinions about the “Umbrella” and “Work” singer. She sees things, ok? Those are some strong words. 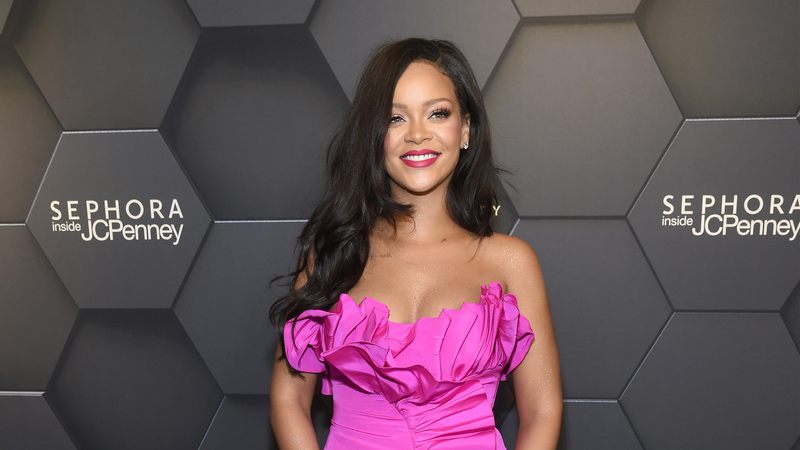 And an Instagram Rihanna fan site was loving those words — so it picked up the video clip and shared it to all its RiRi followers, including Rihanna herself. But just who is this Hassan Jameel that RiRi’s been keeping on the down low? Bazaar did some digging. Jameel is a Saudi businessman for Abdul Latif Jameel — all you have to know is that the company distributes for Toyota in Saudi Arabia and various other Middle Eastern countries, according to People. Not only is Jameel objectively a bae, he has a philanthropic bent, serving as the president of Community Jameel Saudi Arabia, a charitable organization that according to its mission statement, focuses on the “social, cultural, educational and economic development of individuals and communities in the Middle East region and beyond,” according to its official mission statement website. Oh, and his family also owns a soccer team. Like you do. The pair were last spotted publicly at a Lakers game at the Staples Center in February (how… strangely common). But Rihanna and Jameel were first found out in the summer of 2017, when TMZ published shots of a racy makeout session of the two of them. In a pool. In Spain. I mean, you had best believe the internet had serious feels about that one and expressed its joy in a gushing font of YAS RIRI tweets. So there you have it, Rihanna fans. Predictions have been thrown down and now it’s just a waiting game.